I have rarely had any overlap because I wore each pair right into the ground. I’m talking multiple crotch blowouts, back pockets that were beyond repair, saggy knees and every single food stain imaginable. I love black jeans. Initially, I thought it was because I lacked imagination. I have always owned raw denim in differing shades of indigo but outfits always lacked that certain punch they had when I put the black jeans on. I’d trudge around with blue jeans on because that was the traditional color, the color jeans were meant to be. It was the color of all the attractive people’s jeans in Ryan McGinley’s Levi’s commercials fueled by the rebellion and folly of youth. It’s the color of Brooke Shields&apos; denim in her Calvin Klein ads. 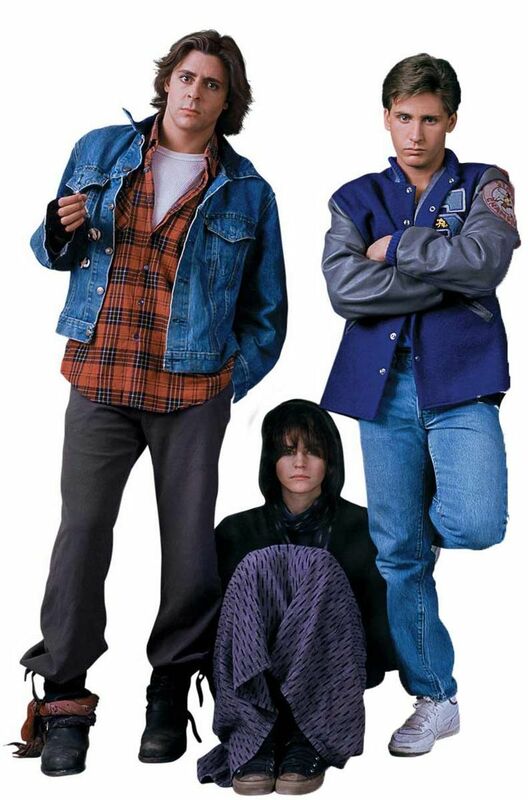 John Bender wore that color jacket in The Breakfast Club and now Fear of God is totally based off his sense of style. I’ve got about ten pairs of pants that I can wear on a daily basis, but every morning I grab my black jeans. Black jeans are pure. 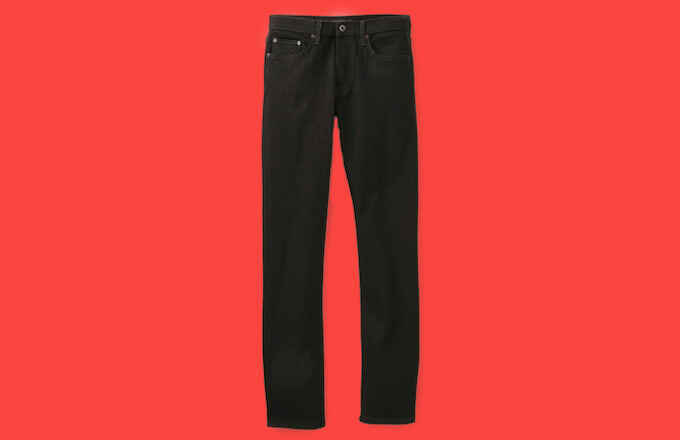 Black jeans are simple. Black jeans make sense to me when the world doesn’t. It matches expensive hoodies, cheap button-ups and semi-reasonable shackets (you know, shirts light enough to be jackets, and jackets light enough to be shirts). It is both hip-hop and punk rock. It is Kanye West and it’s Sid Vicious. It’s Chelsea boots and Air Maxes. It’s Hedi Slimane and Lou Reed. Ever since Elvis Presley first popularized black jeans in Jailhouse Rock, the darker dungarees have always been considered the cooler cousin of the indigo original, and they&apos;ve retained a sense of cultural relevance. Like the LBD, hemlines have shifted, cuts changed and washes varied depending on the era (black acid washed jeans are still black jeans!). And also like the LBD, black denim&apos;s simplicity and ability to match anything have keep it in constant rotation even as trends came and went. Hell, there&apos;s even an entire brand that owes its name to black denim&apos;s very existence. Black jeans were there for me when emo music was there for me. They were there for me when I was listening to Taking Back Sunday off your girl’s 5GB clickwheel iPod. Black jeans were there for me when I had a skating phase and helped me when I worked at a combination surf and skate shop. If people saw me with black jeans on they’d trust me to put grip tape on their new deck (still maybe a top ten oddly satisfying thing for me to do.) Black jeans were there for me when I was scared to go to the dentist. Black jeans are there for me on job interviews. Coincidentally, I’ve worn black jeans on every single day I’ve been fired from a job. They are going to be with me tonight when I roam around the city looking for a place to plug the aux cord in. They are going to be with me when this goes to print—because why would I wear any other pant? My obsession around my pair of black denim has almost turned neurotic. I’m concerned about two things: improper fading and crotch blowouts. Preventing one, seemingly leads to the other. Washing my jeans will prevent bacteria buildup, preserving the integrity of the seat of my denim. Not washing my jeans keeps the color but accelerates deterioration. This is some statement about the existentialism of life, but I can’t figure it out because I’m too busy making sure I don’t bend in any weird way, which stretches out the knees. I swear that I’ve found my favorite pair of black jeans and that I should buy multiple pairs so rotate them throughout the week. But then the crotch blows out and I go and a new relationship with an even better pair of black jeans. Black jeans forever. Nickolaus Sugai is a writer in New York City. Follow him on Twitter @nicksugai.